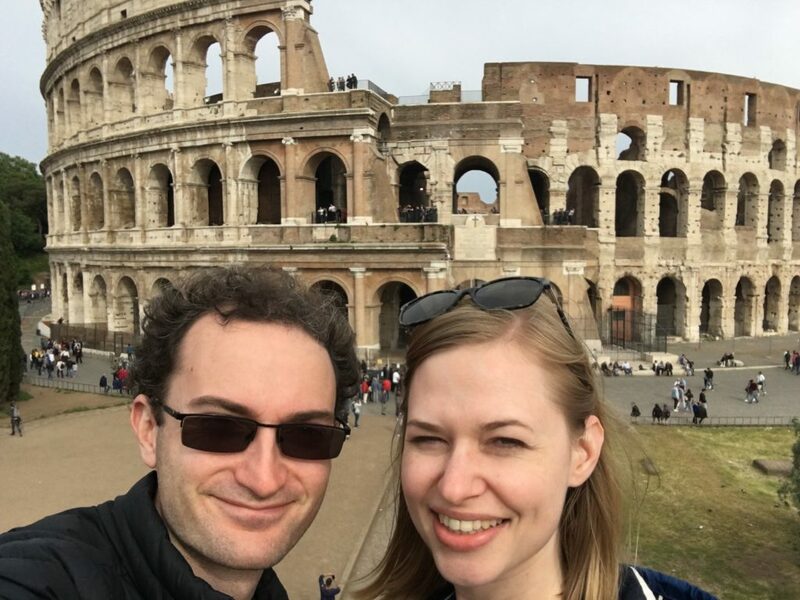 I recently returned from nearly a month spent overseas in Europe traveling with my partner for a holiday, with the underlying objective of coming home with a brand new oboe! The concept of needing a new instrument is a frightening one that comes with so many questions. What’s wrong with the instrument I’ve got? What am I missing out on by not getting a new one? Where and how would I get one? In the later months of 2017 I found myself working harder and harder to make the music I wanted. Every effect that I tried to create in my music, whether it was blending my sound with my colleagues or just making a larger difference between loud and soft, became more difficult. What’s more is that these changes were so incremental that I barely noticed anything was hampering me. For so long my instrument had been the most dependable part of my playing. If there was ever a problem with my music I always put it down to my reeds or my own physical input (air, lips, and pressure). It wasn’t until I tried out a friend’s new oboe that it dawned on me that I might actually be struggling far harder than I needed to. At that stage my instrument was ten years old. This is considered quite old and most likely worn out amongst the oboe community and only raised my suspicions further. Out of impulsive curiosity I joined Lloyd, familiar to many as Arcadia Winds’ clarinettist, on a trip to a music shop in Melbourne, deciding to try out whatever oboes they had in store. I began to realise that something was off, as every single instrument I tried out was easier to play, sounded better, and was more musically flexible than my current one. That evidence was pretty conclusive: I needed a new oboe. From conversations with friends, mentors, and colleagues, I had a list of places to visit in London, Düsseldorf, and Paris. When buying a new instrument it helps to try out as many as you can, and often the selection available becomes greater the closer you get to the factory where they’re made. In this case that was Paris, and if a trip overseas was already planned then I might as well try out all the instruments I could while I was there! Funnily enough, I didn’t even have to search the Paris factory for an instrument as my new pride and joy was found before I made it there, in a shop in Neuss, a town just outside of Düsseldorf. 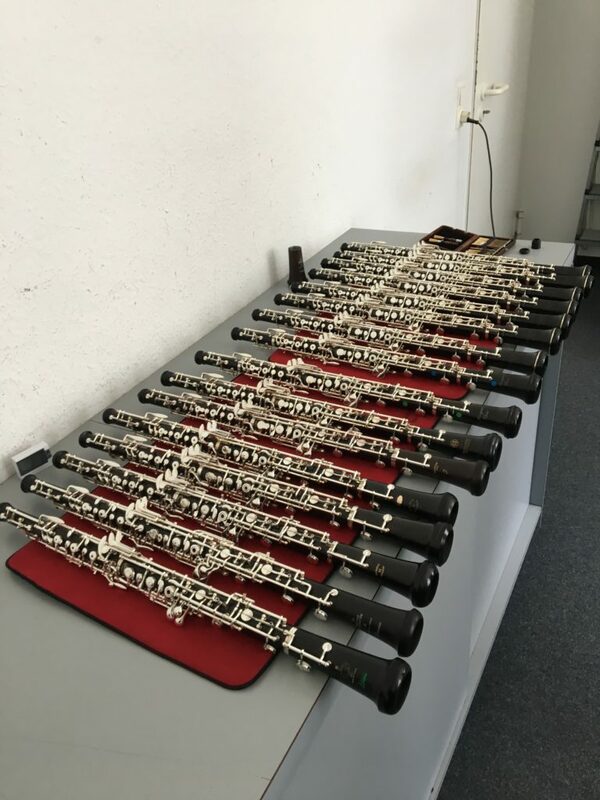 While there I tried out 16 different oboes, and before that I’d tried out 14 oboes in London. Across these 30 instruments there were 6 different brands with 11 different models to choose from, each instrument having its own tendencies and attributes. Testing and differentiating all of these instruments can quickly become very tricky and fatiguing. Thankfully my partner Emily joined and helped me, listening to me play 30 different instruments and telling me her thoughts and preferences. This took hours and I owe her enormously. When playing the instruments quite a few of them can be immediately discounted, simply based on sound quality. If one doesn’t sound or feel as good to play as another than it’s not worth considering any further. Beyond that it comes down to intonation, size of sound, and most importantly to me, the balance between stability and flexibility. This last point is very personal but ended up making my final decision. An instrument should never feel unstable. When you place a note it should always land with the pitch you want and maintain a steady sound. Within that feeling you have some instruments which are more flexible and some that are more robust. The instrument I finally chose was slightly more malleable in terms of sound colour and dynamics than it’s more hard-lined companions, and I felt I could push more limits in my chamber and solo music. Suddenly I felt far more enabled! Everything that I tried to do with my music was much easier; some notes required far less effort to reach and playing in the extremes of the instrument’s capabilities was less risky and more fun. The sound felt fresh and closer to my mental imagining of my ideal sound. The difference between struggling on my old instrument and being far more free on my new instrument was massive and invigorating. I can’t wait to finish playing it in and getting used to it’s idiosyncrasies so that I can start my next 10 year adventure of playing oboe.